Modem setup is a task that can be completed by yourself and is simple in nature. 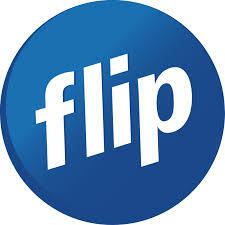 All Flip provided modems are plug and play. This means that all you need to do is setup your modem and you're ready to go! 1. Connect one end of your telephone cable to the grey DSL port on the modem and the other end to your dedicated wall socket. Use the DSL Filter if you have homeline services. 3. Turn the power on at the wall socket and then turn your modem on by pushing the power (ON/OFF) button on the back or side of your modem. 4. Go online by either connecting your devices to the Wi-Fi or by plugging an ethernet cable to one of the yellow LAN ports on your modem and the other end into your computer. This light indicates whether your modem is on or off. The DSL light confirms your connectivity status to the Flip network. · Off: Modem is unable to establish a DSL connection. · Solid Green/Blue: Modem has established a DSL connection. · Flashing: Modem is attempting to establish a DSL connection. If this light continues to flash for longer than 2 minutes, we recommend performing an Isolation Test as your modem is unable to gain DSL service. This light indicates whether your modem has successfully authenticated on to the Flip network. · Solid Green/Blue: Modem has successfully authenticated. · Red or off: Modem is unable to authenticate with the current modem configuration. We recommend going through a Modem Internet Setup. · Flashing Green/Blue: Data is being transmitted or received over the internet connection. The light confirms the current status of your Wi-Fi network. · On: Wi-Fi is enabled. · Off: Wi-Fi is disabled. · Flashing: Data is being transferred or received via your Wi-Fi network.